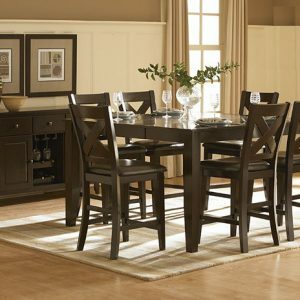 Daisy Collection combines superb visual appearance and fine quality that you need in your dining area. 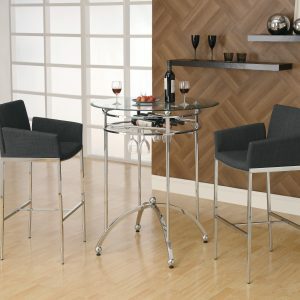 Five table options are available in regular height and counter height with matching side chair in two bi-cast vinyl covers white and dark brown. 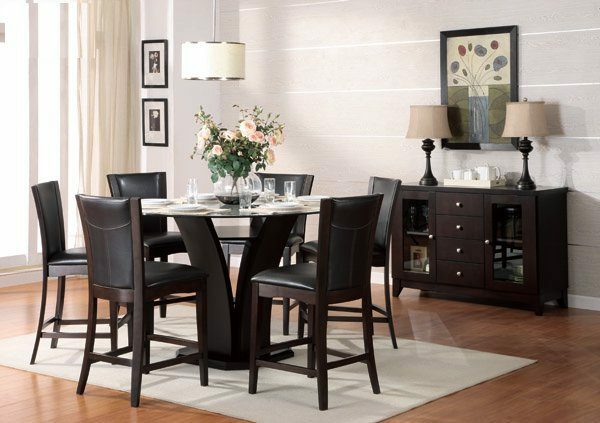 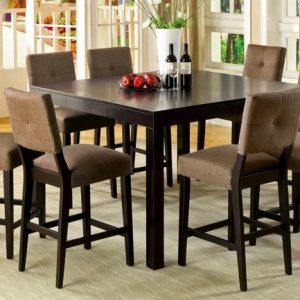 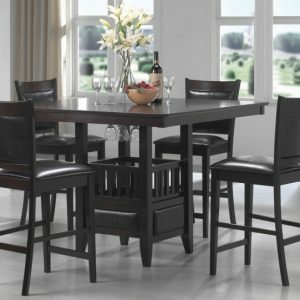 Constructed of hardwood solids and cherry veneers in a high gloss espresso finish.